Do people love the romantic scene with an awesome oceanside view? I got one for you... it'll cost you an arm and a leg, but it's so worth it. I was getting off from a hike at Solstice Canyon and visiting the popular Escondido Falls. After an exhausting, but exhilarating hike where it takes me about a hour each way.. I was literally famished. Honestly, you would think there would be a tons of restaurants or fast food places nearby in this narrow, but fast highway road along the scenic route. With the scenic road getting more clustered with every possible tourists wanting to visit the beach along the 1 Pacific Coast Highway, I was stuck and will need a possible 90 minutes to get to the nearest freeway to civilization. Took the biggest gamble of my life and went to the nearest restaurant on Goggle Map for a restaurant nearby. Lo and behold, it was Geoffrey's Malibu. Don't laugh, but back then there were no pics of the place on the map or describing what dishes are being served. All I can ventured something was amiss was a valet wanting to park your car. I can either go out and hit that the god-forsaken busy stretch of highway road or just bite that bullet to check this what it seemed very upscale restaurant with a view. Rolling in by myself, I hit the motherlode! Instantly, I can deduced it was a great fancy date place or the very least a venue you can impress your company you're are dining with. It seemed like it's either everyone is having a special occasion or a gathering to draw in the awe you can siphon in. To be straightforward, it was a fantastic view of the Pacific Ocean and I just wish I had the foresight to take more photos of the view. Pfft, I was really just there to wait out the traffic and grabbing the grub. The meal here was what you expected for a very classy place. Everything here was like you would be dining at a four star restaurant. You already read above I just chose the nearest place without really making any research and I was already in their mercy. No choice, but to roll in and swim with the sharks at this moment. Based on the menu, only a few things that fancied me and I took it upon myself to just ordered the most appetizing dishes on the menu. They were serving brunch when I barely made it for that cut off time, but chose the mains from their lunch menu. To my astonishment, I think I made some decent choices. 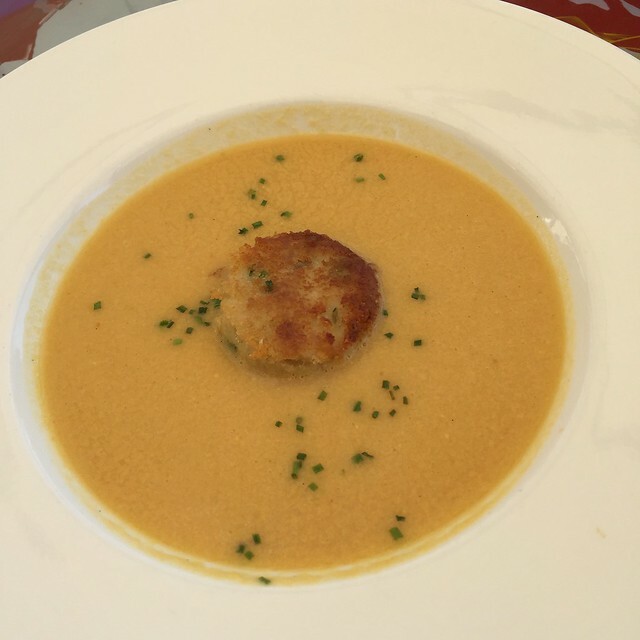 First, I got the lobster bisque, which probably a good start. Not exactly the most exciting thing in the world, but I was willing to eat anything because of hunger after a long hike. This was something I would love to order again if I was eating a light supper and take in the view. 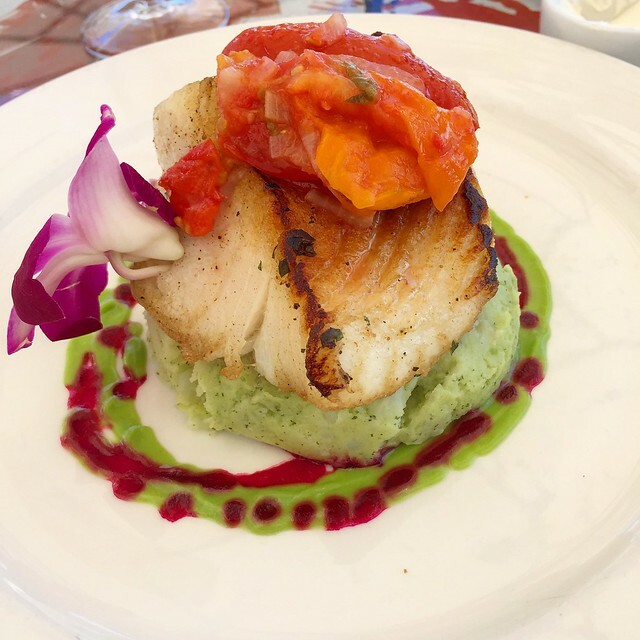 The big moment came was the presentation of their pan seared Chilean Sea Bass. Boy, that did not disappoint. Love how this just melt right into your melt. It was riveting in that something this tender was worth the gold... literally it cost me a gold. 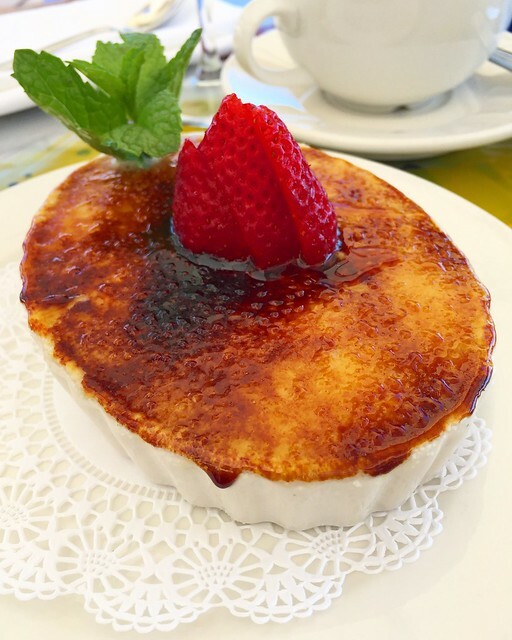 To end all this soiree, a creme brulee was a fitting end to my out of the way excursion that otherwise a beautiful day in the lovely coast town of Malibu. I'm sure there's a question that get asked: Was it worth it? I didn't save time by waiting out as I still wound up fighting more than a hour of traffic after the meal. 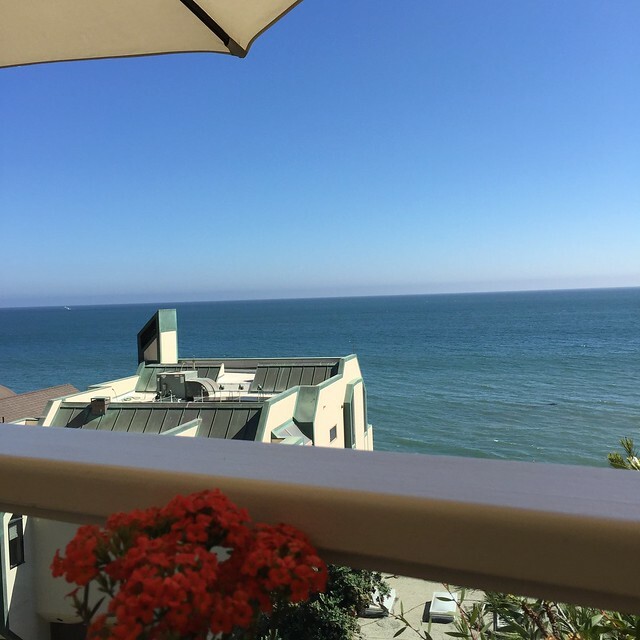 To bask in the sun, take in the breathtaking cliff view of the ocean and breath in the fresh ocean air of Malibu, I'm sure there was a cost somewhere. It was not pretty when I got the bill. I do honestly have to say this is a "special occasion" place that everyone was alluding to. My visit here did gets a tons of kudo and I would raved it about til the end of time. If there is a way I can cut out my DSL bill and monthly gym membership, I would be on my way here again. Bare in mind, this place is considered a destination place where you do need to get here as a determination to be here. In my case, a good unintended post workout meal.